CNIM Group designs and produces turnkey industrial solutions with high technological content and offers expertise, services and operating solutions in the fields of environment, energy, defence and industry. CNIM is based on a stable family shareholding, guaranteeing its development and is listed on the Eurolist of Euronext Paris. The company has 2,900 employees in 15 countries and generated sales of €727m in 2015. 61.3% of sales are from exports. CNIM is a leader in the design and manufacture of fast deployment military bridges of all kinds, including assault, floating and logistic bridges and rafts. 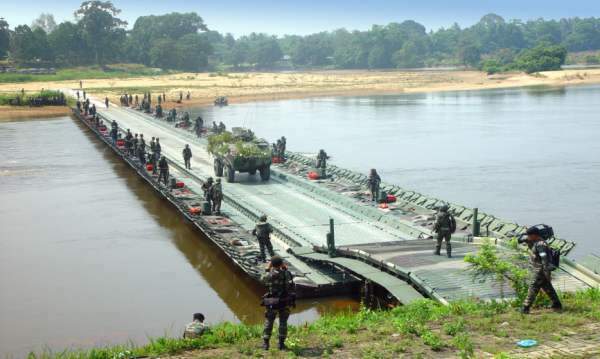 The modular assault bridge developed by CNIM is currently the most innovative forward bridging system in the world. 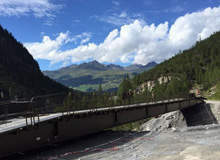 The system’s originality resides in the fact that the length of the bridge can be adjusted, at the last moment, according to the width of the gap that has to be crossed. The system is composed of two 14.3m sections, which can be deployed separately, or together to form a 26m long bridge. 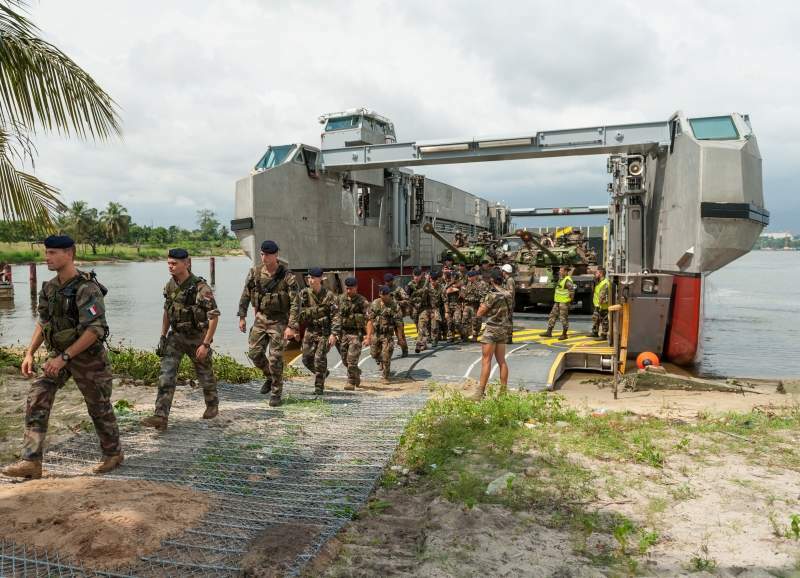 The modular nature of the bridge ensures greater operational efficiency and also represents a more cost-effective solution since it makes it possible to reduce the size of the assault bridge fleet. 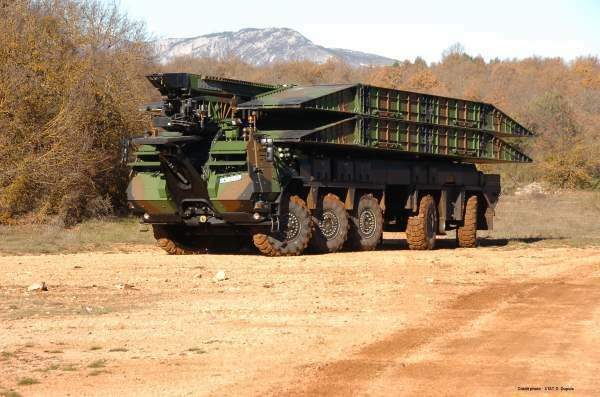 This bridging system is transported by a vehicle equipped with ten driving wheels, therefore offering the advantage of excellent mobility and lower ownership costs than caterpillar-tracked vehicles. 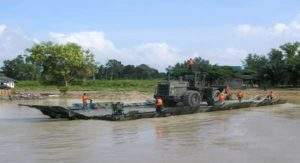 PFM is a bridging system providing continuous and discontinuous crossing of wet gap for class MLC 80, including main battletanks, armoured vehicles or civilian vehicles. 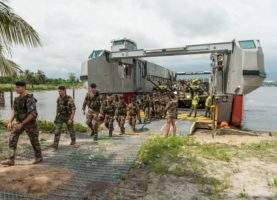 Extremely easy to use, PFM requires no additional equipment such as boats, cranes or earthmovers for its deployment, and a 100m-long bridge can be built in less than 30 minutes. To best fit the army’s needs, PFM has two configurations and can be set up as a bridge or a ferry due to its modular, autonomous and motorised sections. 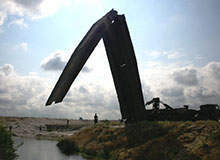 It is an all-in-one product with no limitations in bridge length. The PFM has been in active service with the French army and several foreign armies, including the Swiss, Italian and Malaysian service for many years now. The CNIM Group will be at Eurosatory, the international land and airland defence and security exhibition, held in Paris on 11-15 June. The PTA provides the Land Forces with the best of class modular bridging capability for the crossing under combat conditions. 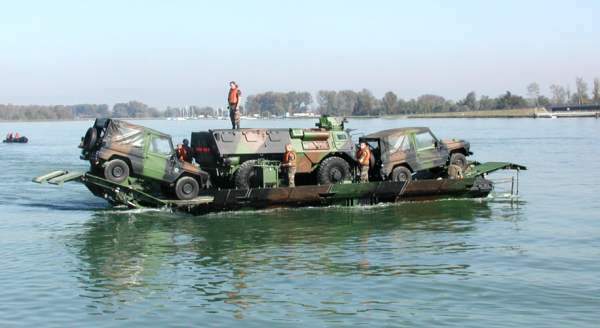 Both a bridge and a ferry, the PFM is a multipurpose tactical bridging solution for dry and wet gap crossing. 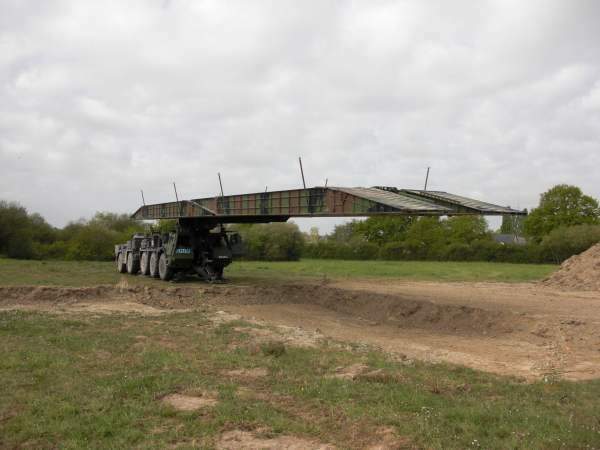 Dry Support Bridge (DSB), a new-generation tactical military bridging system, is operational with the armed forces of the US, Turkey and Switzerland. 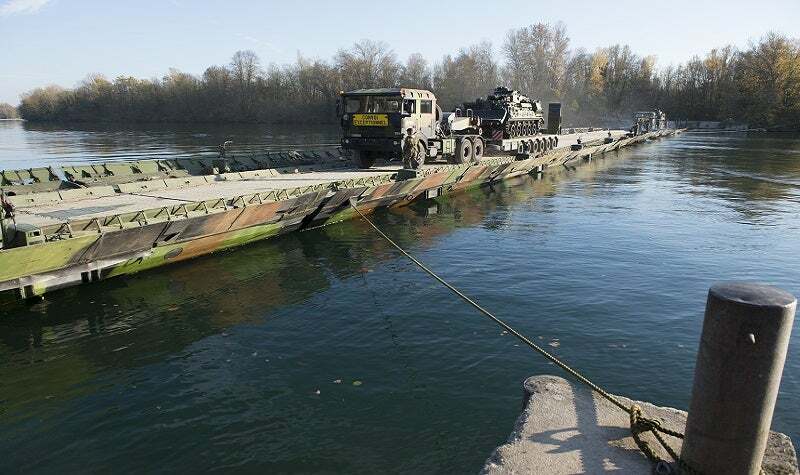 MS-20 Daglezja towed support mobile bridge, designed by OBRUM (Research and Development Centre for Mechanical Appliances), and manufactured by Bumar-Labedy, is in service with the Polish Armed Forces. 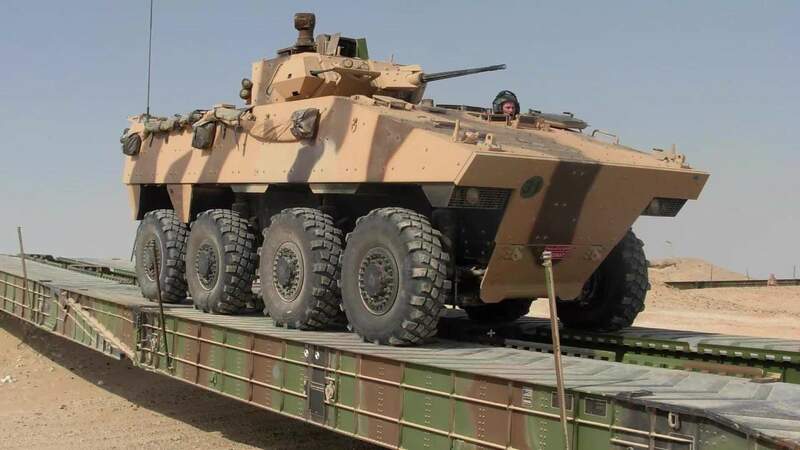 CNIM and Bertin Technologies will be attending this year's Defence and Security Equipment Industry (DSEI) event to showcase their defence and security industrial equipment range. CNIM has the pleasure to inform you that we will be exhibiting at Asian Defence and Security (ADAS) 2016 from 28-30 September at the World Trade Centre, Metro Manila Philippines (WTCMM).